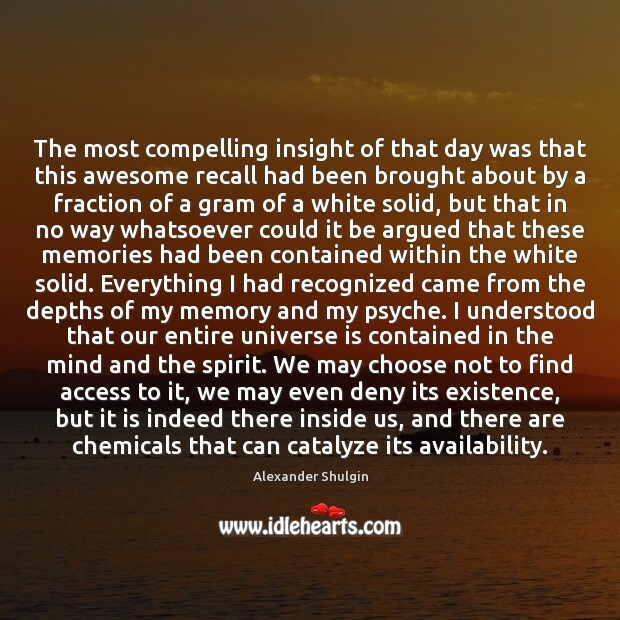 Enjoy the best inspirational, motivational, positive, funny and famous quotes by Alexander Shulgin. Use words and picture quotations to push forward and inspire you keep going in life! 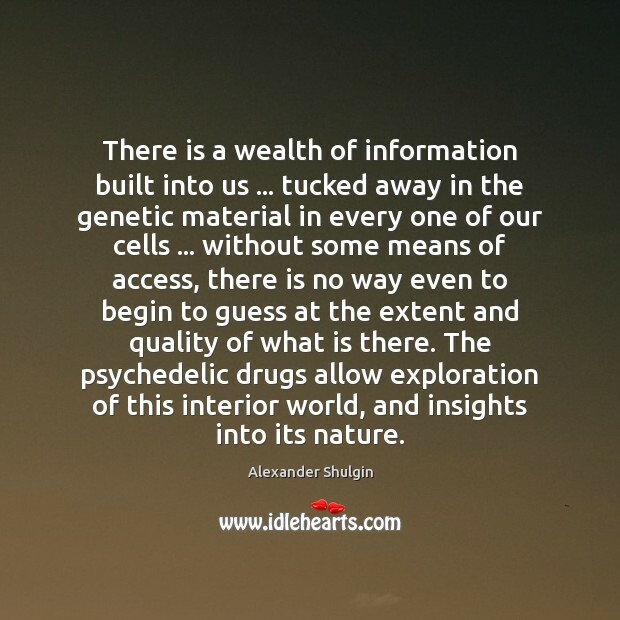 There is a wealth of information built into us ... tucked away in the genetic material in every one of our cells ... without some means of access, there is no way even to begin to guess at the extent and quality of what is there. 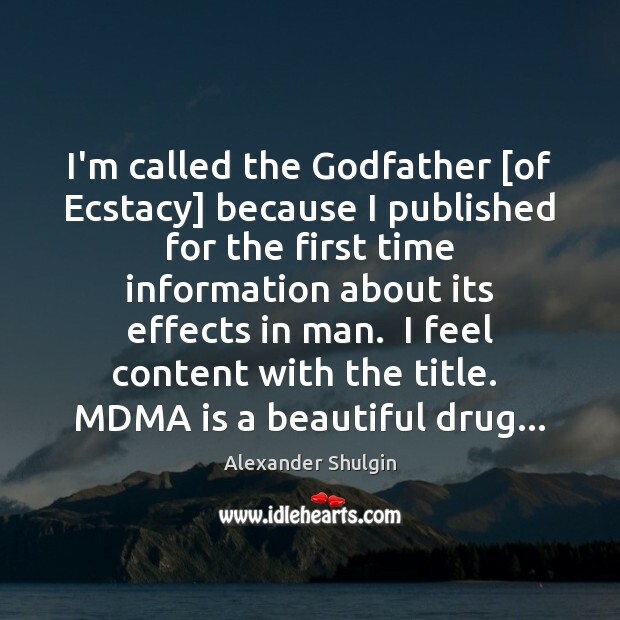 The psychedelic drugs allow exploration of this interior world, and insights into its nature. ... How is it [, then] that the leaders of our society have seen fit to try to eliminate this one very important means of learning and self-discovery, this means which has been used, respected, and honored for thousands of years, in every human culture of which we have a record? 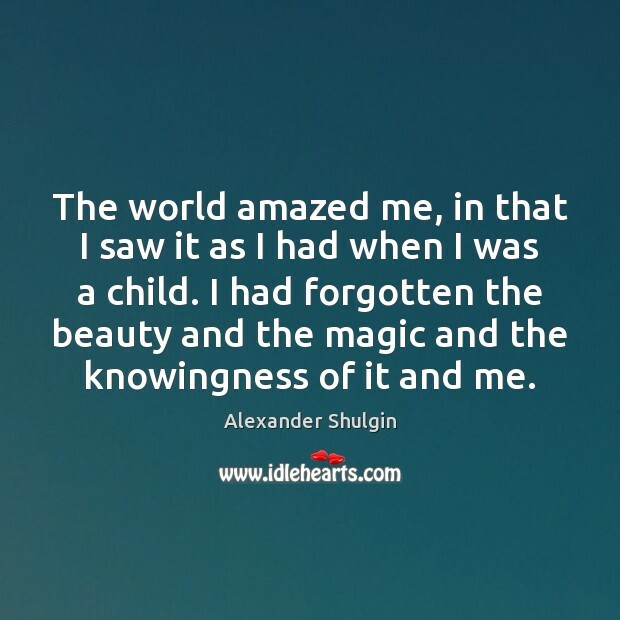 The world amazed me, in that I saw it as I had when I was a child. I had forgotten the beauty and the magic and the knowingness of it and me. 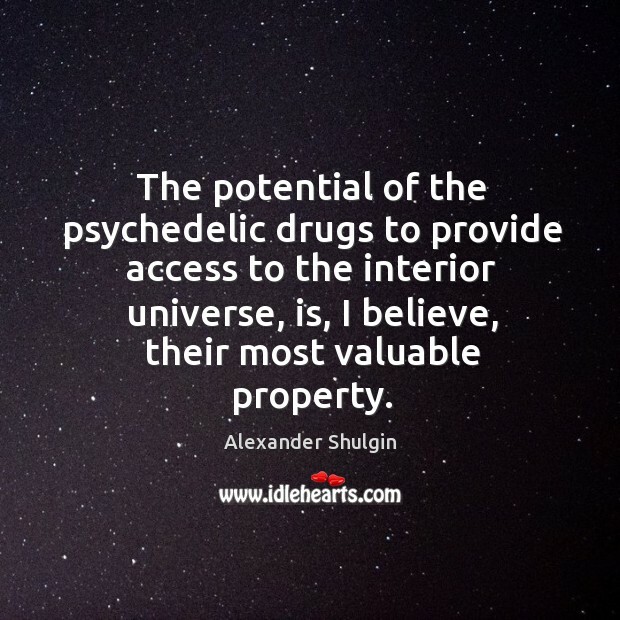 The potential of the psychedelic drugs to provide access to the interior universe, is, I believe, their most valuable property. 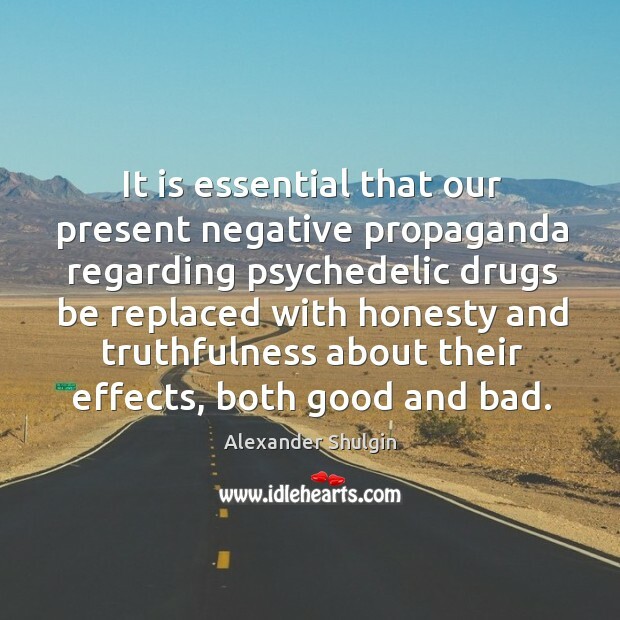 It is essential that our present negative propaganda regarding psychedelic drugs be replaced with honesty and truthfulness about their effects, both good and bad. 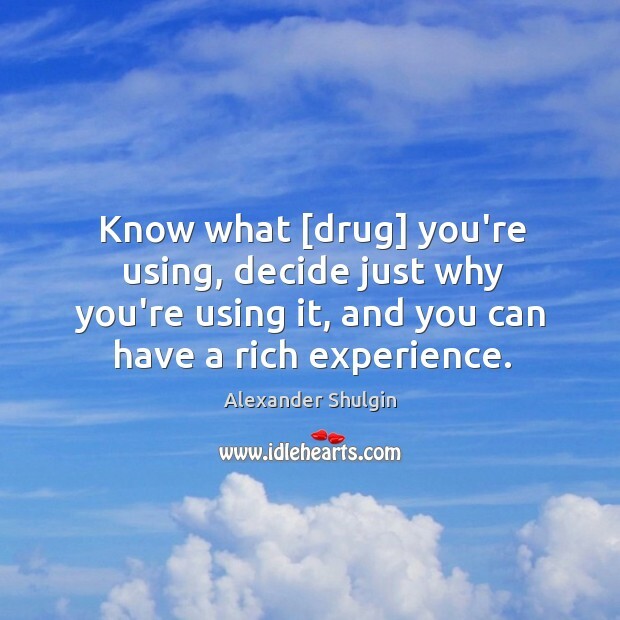 Know what [drug] you're using, decide just why you're using it, and you can have a rich experience.